Junior Kaylie Ritter is the 16-year-old daughter of Nicole and Clay Ritter. 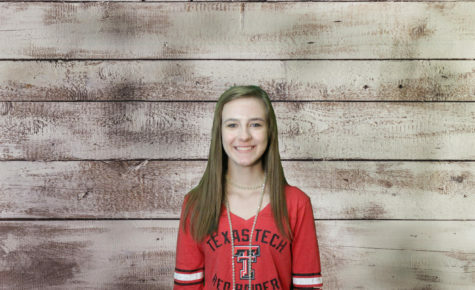 She enjoys singing, playing the piano, participating in cheerleading, FFA, basketball, cross country and track. Ritter likes to spend her spare time singing and playing the piano or being with family and friends. She is an active member in her church and youth group at the First Baptist Church of Groom. Ritter was writer of the week for Week 11 during the 2016-17 school year.